Aug 10: Remember the outrage after election night 2000? 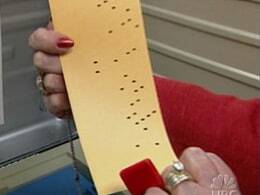 So how is it that punch card voting machines will again play a big role in this year's presidential election? NBC's Chip Reid reports.